We were still sleepy and dizzy at 6:30 a.m. when we got on the bus to travel to Szeged, Hungary. But a shining sun and blue sky welcomed us to what is deservedly nicknamed the “City of Sunshine,” called so because it has the highest number of sunny days throughout the year among all cities in Hungary. Probably it’s the nice weather that gives Szeged a touch of Mediterranean charm. As soon as we got there, we realized why Subotica, just across the border, is considered a piece of Hungary in Serbia. Architecturally, Szeged and Subotica look very much alike, featuring countless fine buildings, especially in art nouveau. As the previous day, we chose to explore the city by bike, preferring the freedom of two wheels to public transport. Riding around Szeged was a real treat. The wide avenues, spacious squares, green parks and riverbanks make for perfect spaces to walk—or, in our case, to ride. Roaming around without a set route we managed to see all the main sights in a few hours: the grand synagogue, the Reok Palace, the Mora Ferenc Museum, Szechenyi Square with its charming town hall. All these lovely places, however, are overshadowed by the majestic proportions of Dom Square, by far Szeged’s most famous landmark. The brown bricks of the surrounding buildings are misleading: what I thought to be a medieval monument was actually completed only in 1932. The square, with a surface equal to St. Mark’s in Venice, is dominated by the colossal Votive Church of Our Lady, dedicated to the Holy Virgin after a pledge made by the inhabitants of Szeged to build a cathedral following a violent flood in 1879. 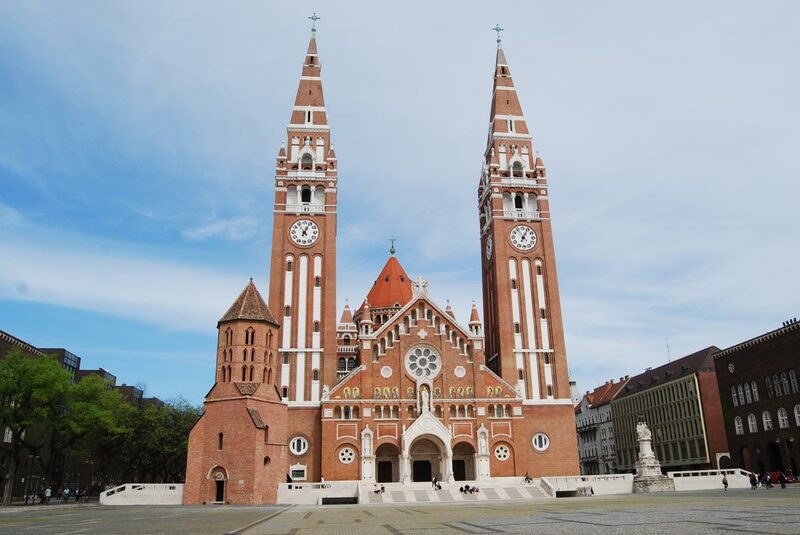 The Votive Church of Szeged, in Dom Square, is perhaps the city’s most famous landmark. The twin 91-metre-high towers are an impressive sight, especially at night when they are beautifully lit. In front of the church lies the Domotor Tower, the only truly medieval element of the square, dating back to the 11th century. All sides of the square are occupied by attractive buildings of the same style, creating a harmonious, awe-inspiring complex. Szeged has the vibe of a city rather than a town. Hosting one of the most renowned universities in Central Europe, a good share of the population is made up of students. The presence of so many young people contributes to make Szeged a very lively city. Groups of local and international students fill the cafes and shops lining Karasz Utca and the other elegant streets and squares. It’s not a chaotic crowd, though, and even in presence of so many people, the atmosphere stays laid back. In our only night in Szeged (a weekday), we hit a few bars and found in all a cheerful environment. From my experience I can say that the Hungarians are good drinkers, they get tipsy and merry and loud at times but never annoying. Another good thing about Szeged is that, not being a major tourist destination, it’s easy to meet and blend with locals. 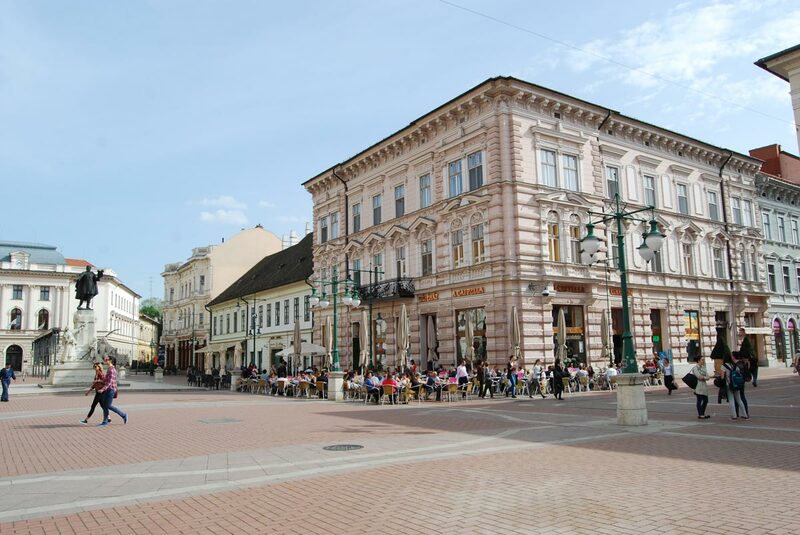 Szeged is cheerful and quiet, yet lively at the same time. Szeged owes a good share of its charm to the Tisza river, which divides the city in two parts. 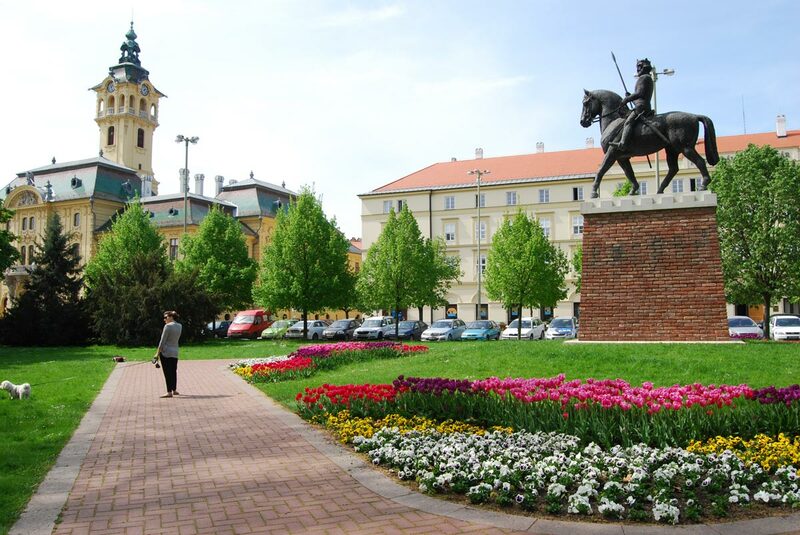 The eastern part of the city, known as Újszeged (new Szeged), is an oasis of tranquility, full of parks and terraced houses. The riverbanks were probably our favourite spot, offering nice views and shady shelter from the heat. The best fish restaurants in town are also found on the western bank of the river—a bit far from the centre, but still easily reachable by bike. In one of them, we tried the famed Szegedi halászlé, a spicy fish soup, which along with Pick salami constitutes Szeged’s culinary specialty. Despite our initial doubts, we had to admit it was delicious. 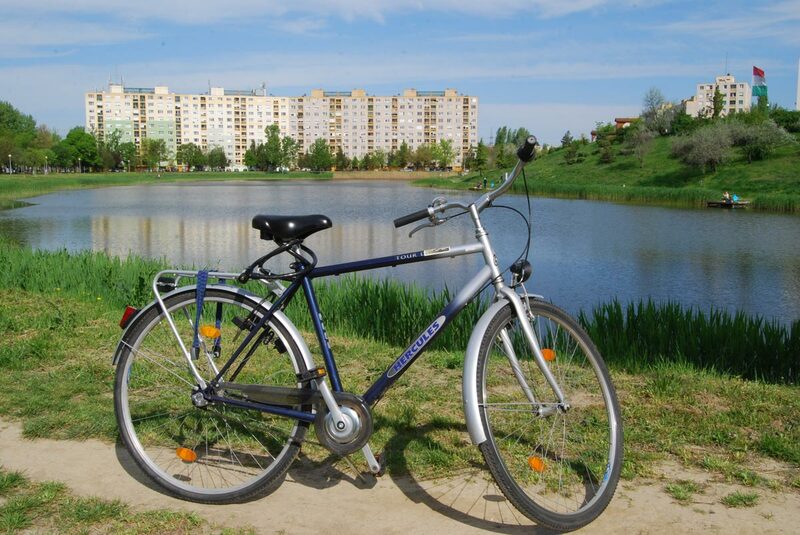 Biking might be the best way to experience Szeged. Before visiting, I had heard of Szeged only as one of the favourite travel destinations of Erasmus students in Italy. Now I know why. Our day in Szeged passed quickly, and though we wished we had some more time to spend there, the best was yet to come—Budapest was awaiting us the next day.